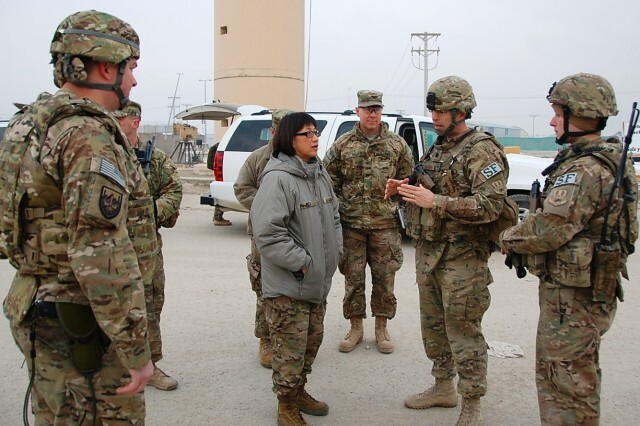 BAGRAM AIRFIELD, Afghanistan -- The Army acquisition executive, senior research and development official and science adviser to the Secretary of the Army, the Honorable Heidi Shyu, visited 401st Army Field Support Brigade to see and hear firsthand how some of the recently fielded technology is supporting Warfighters and their missions. 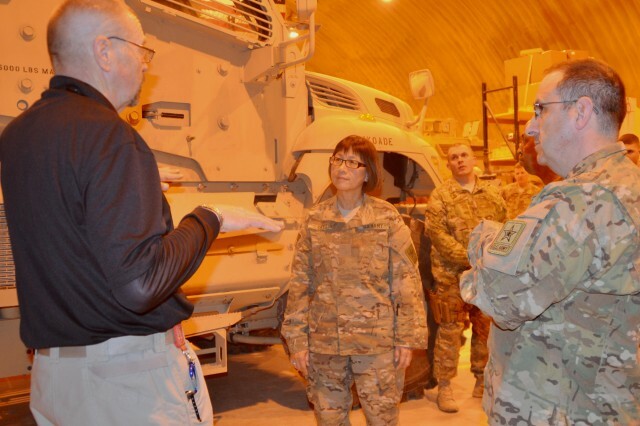 Shyu, assistant secretary of the Army for Acquisition, Logistics and Technology, made a joint visit to the 401st AFSB with Gen. Dennis L. Via, Army Materiel Command commanding general Jan. 15-16. 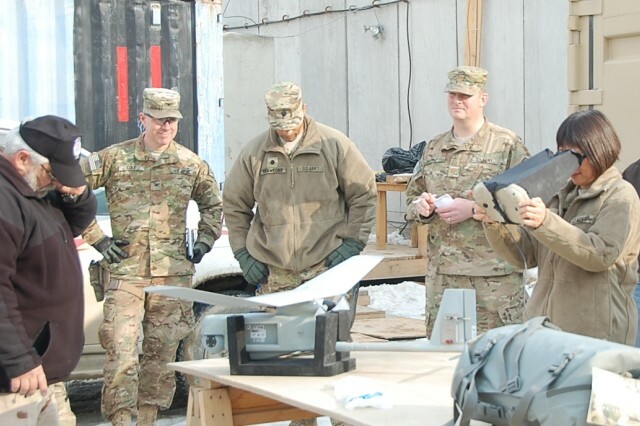 She saw unmanned aerial systems, common remotely operated weapons systems, biometric collection equipment, scanners, and upgrades to mine-resistant ambush-protected vehicles. She also had an opportunity to meet and talk to some of the people who field, sustain and retrograde the equipment. As the ASA (ALT), Shyu serves as the Army acquisition executive, the senior procurement executive, the science adviser to the Secretary of the Army, and the Army's senior research and development official. 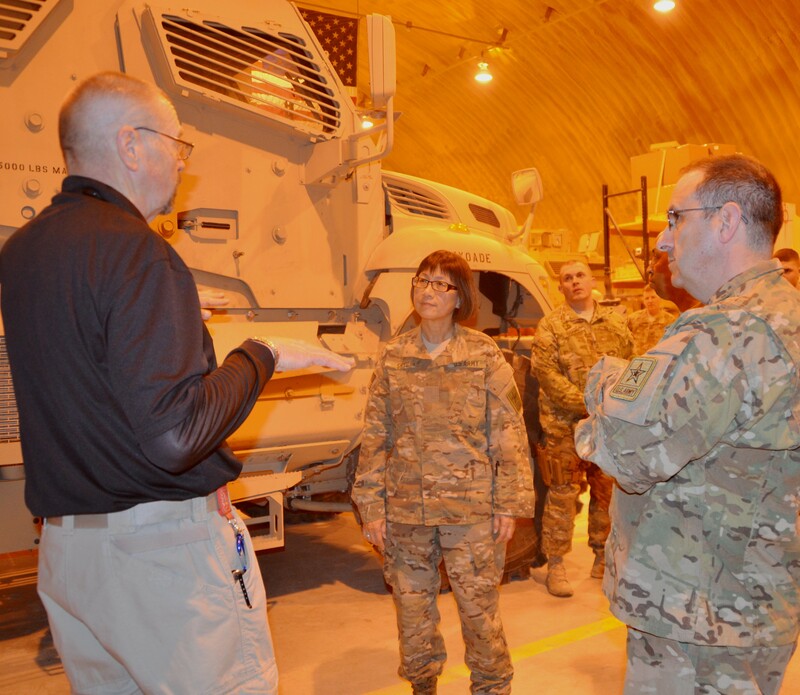 She also has principal responsibility for all Department of the Army matters related to logistics. Programs, personnel and equipment fielded by ASA (ALT) fall under the 401st AFSB in theater.